Ideal for large, outdoor meetings or parties, this facility seats up to 80 people. 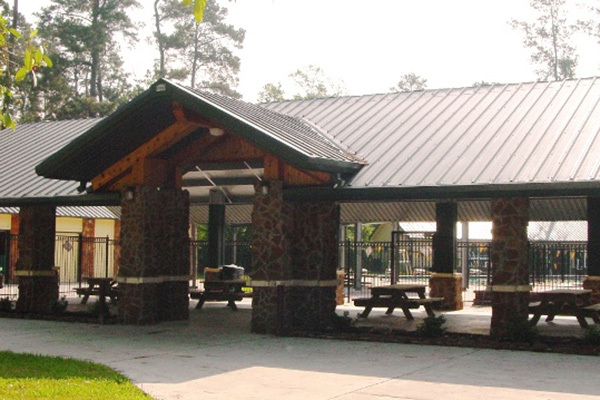 This pavilion overlooks the Northcrest Pool and is adjacent to the Northcrest Park. There is no fee for the pavilion, but large group use reservations are required. This pavilion is located at 23010 Northcrest Drive, Spring, TX 77389. Designed for small outdoor meetings or simple gatherings on the lake, this free pavilion provides a nice shade and a cool breeze any time of day. Again, small group use reservations are free, but required. 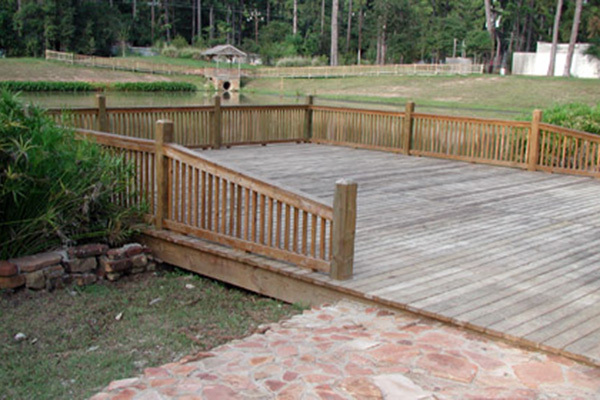 The 30′ x 40′ pier at West Park is ideal for parties and is bordered by amphitheater seating. A small pavilion is also located at the lake. 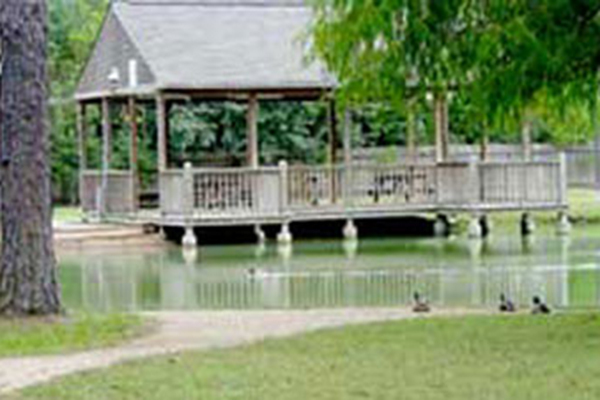 The lake is surrounded by a trail and benches. 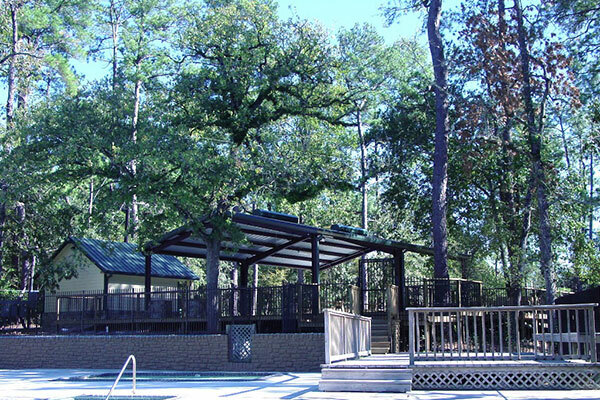 This pavilion is located at 22925 1/2 Northcrest Dr., Spring, TX 77389. Ideal for large, outdoor meetings or parties, this facility includes a covered outdoor kitchen, restrooms, and overlooks the Inway Pool with nearby playtground. There is no fee for the pavilion, but large group use reservations are required. 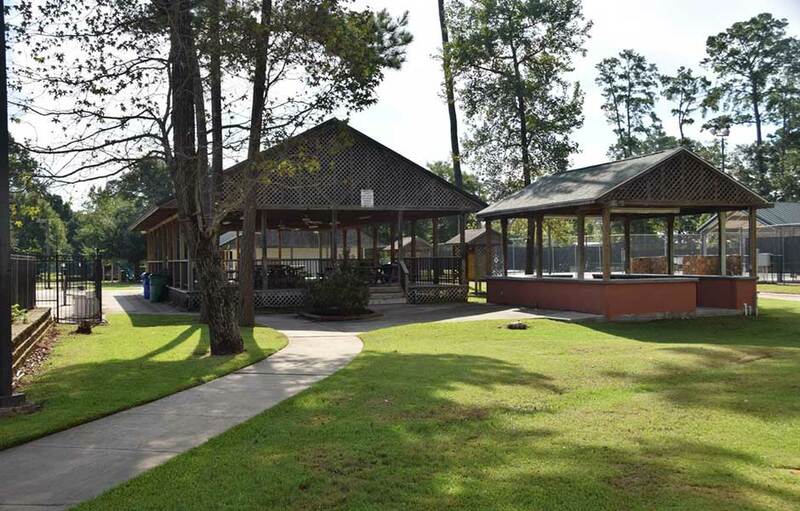 This pavilion is located at 6000 Inway Drive, Spring, TX 77389.